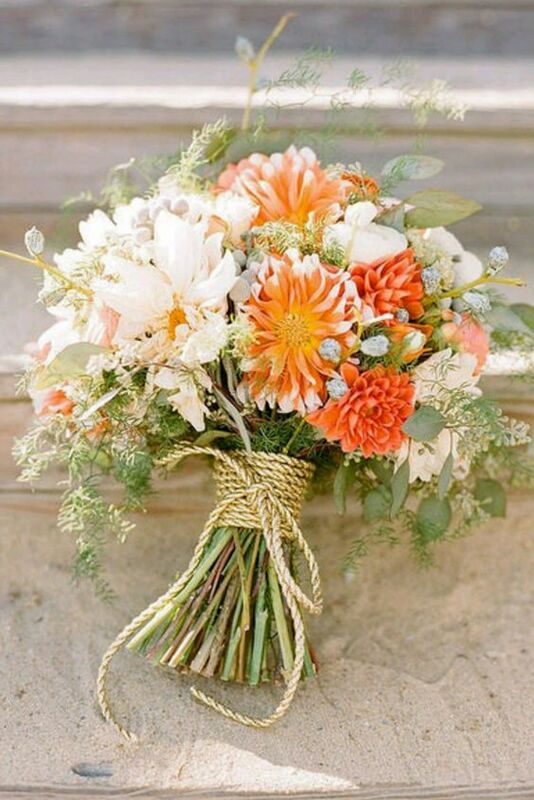 Orange is a traditional fall wedding to rock, and sometimes it’s used for bold summer or tropical weddings. 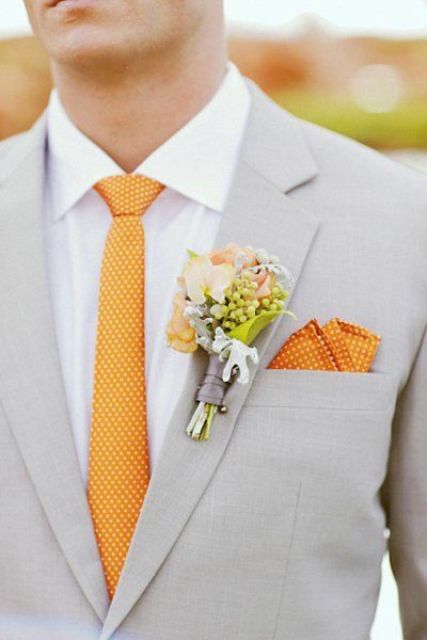 Some people think it’s too hacky but I’ll show you how to rock this color with style, let’s have a look at them. 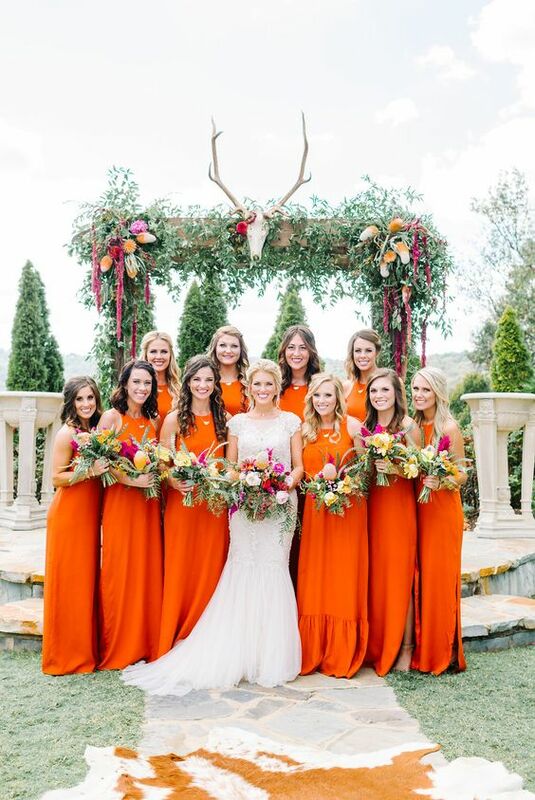 If you are a daring bride and love bold colors, rock a gorgeous bold orange wedding dress! 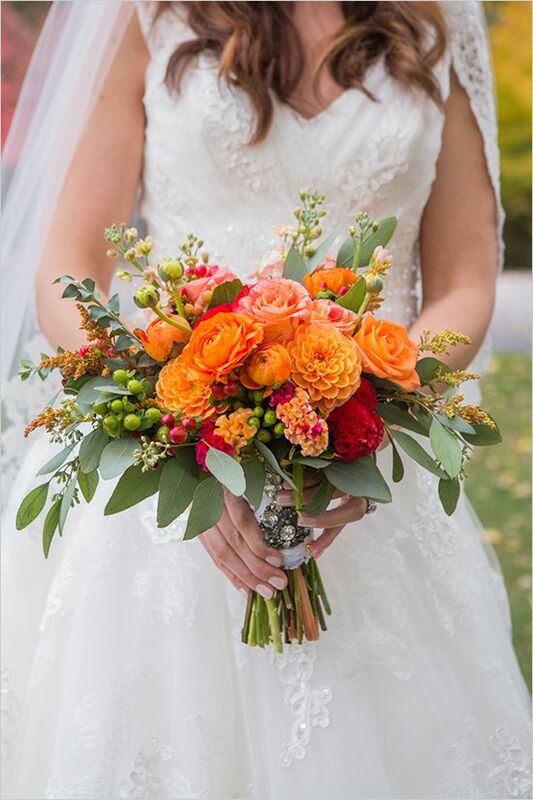 It may be a flowy one shoulder orange wedding dress, an orange lace wedding gown or any other that you like. 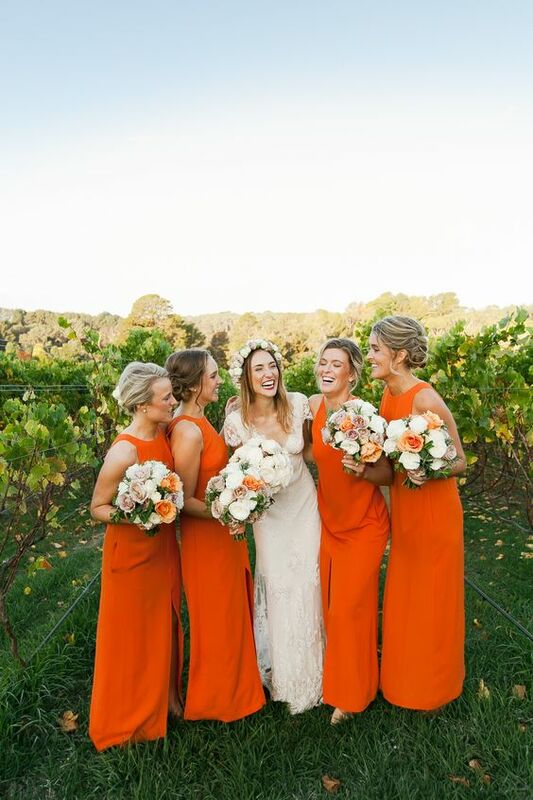 If you don’t want to wear orange, ask your bridesmaids, dress them up into cool halter neckline dresses. 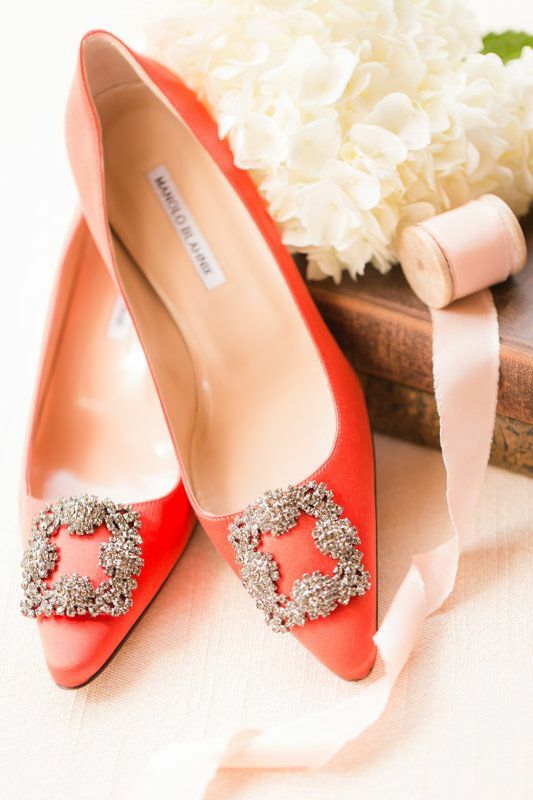 You can opt for chic bold shoes with lacing up or just classic and elegant heels. 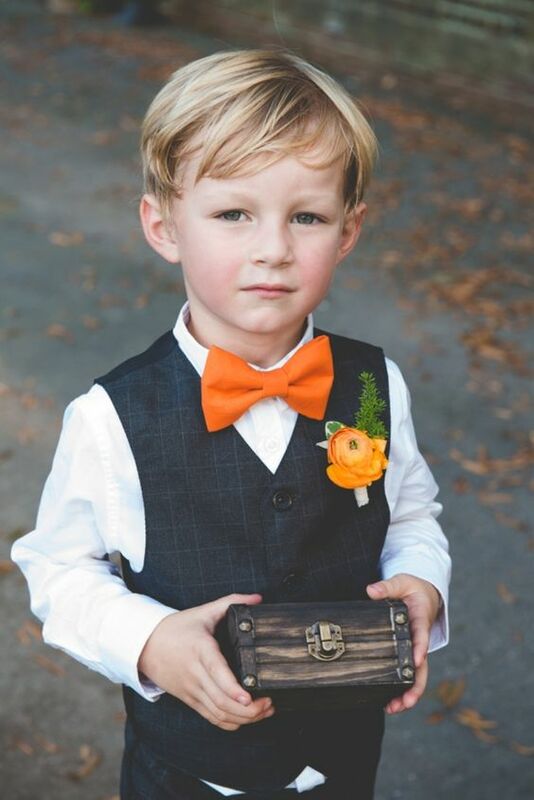 Grooms and groomsmen can wear an orange tie and boutonniere, and a ring bearer can rock orange suspenders and a bow tie. 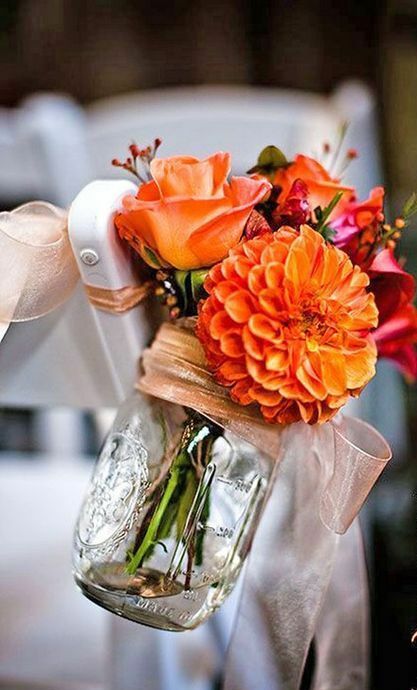 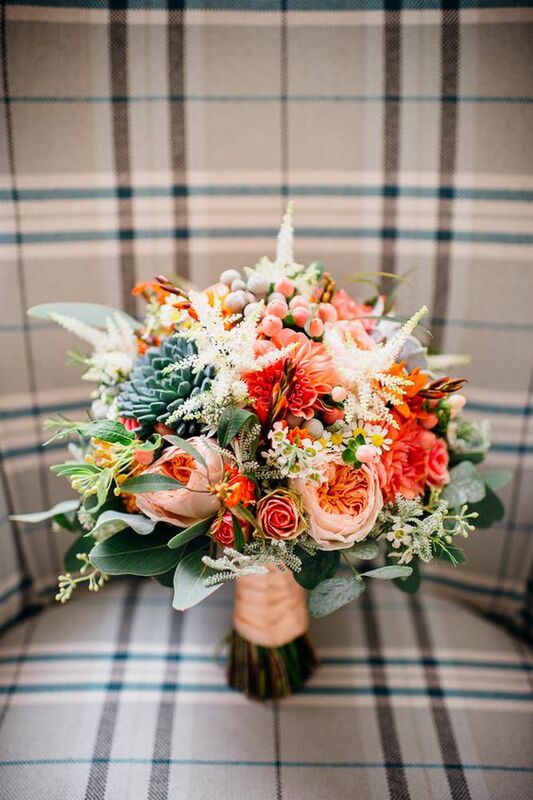 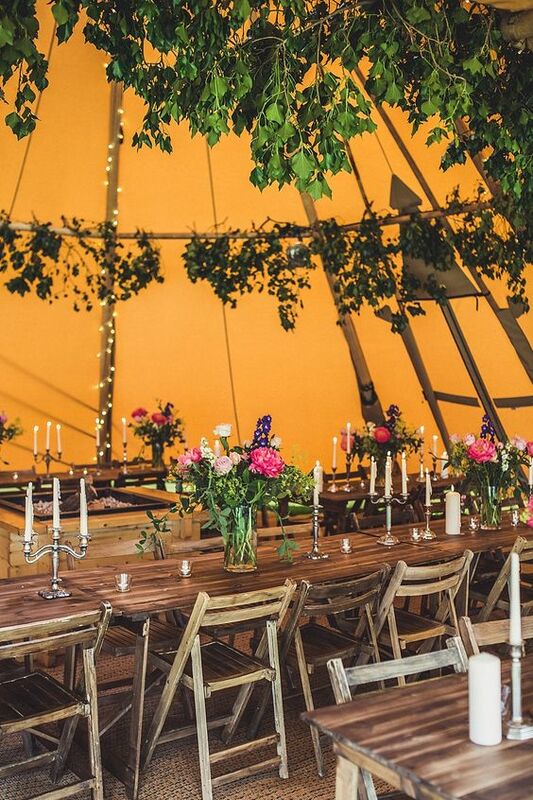 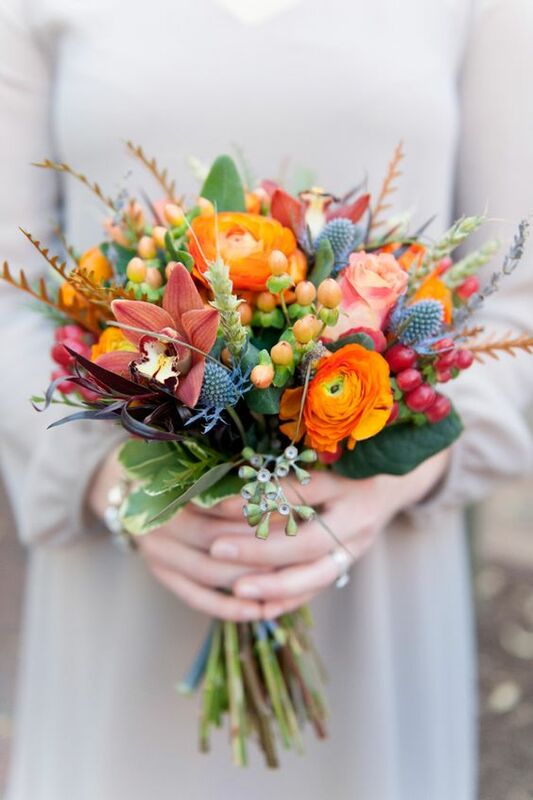 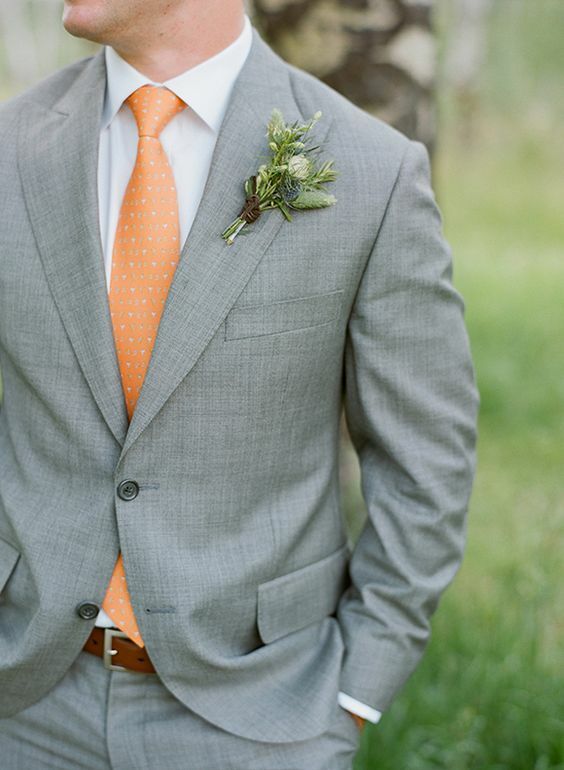 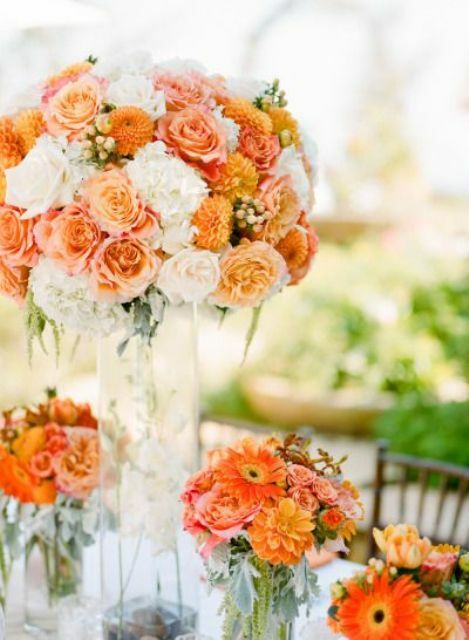 The easiest way to add orange to your wedding with style is florals. 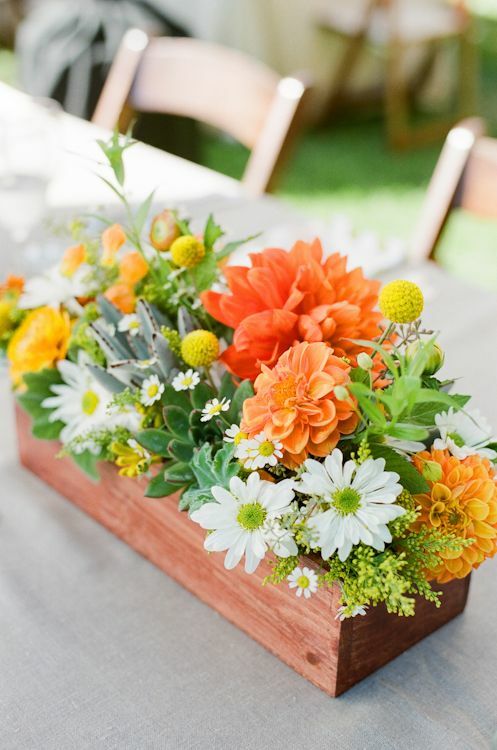 There are lots of orange blooms to choose from, and you can blend them with burnt orange, burgundy, purple, red and yellow for super bold floral arrangements, or if you want a softer combo, go for creamy and white and add just some mild orange flowers. 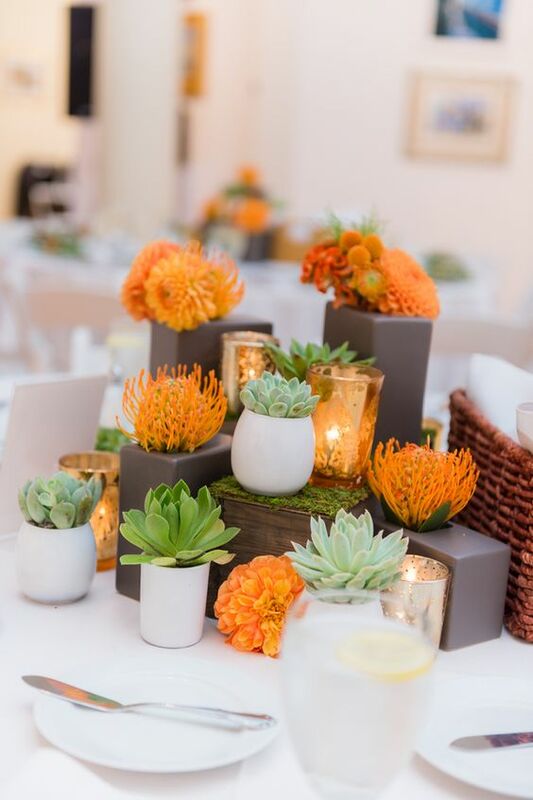 You can also create cool modern flower arrangements with just some orange blooms, moss and succulents. 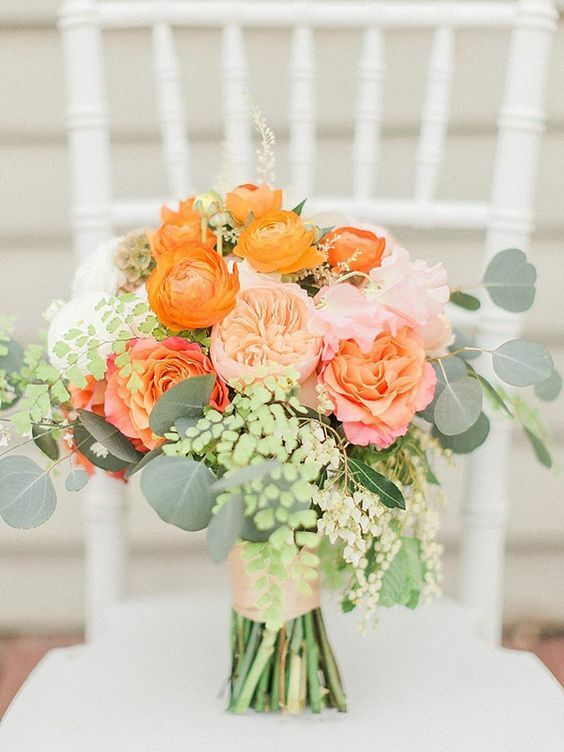 Make a whole box with blooms – greens, creamy and orange flowers, or rock a combo of three orange roses in a stylish vintage vase. 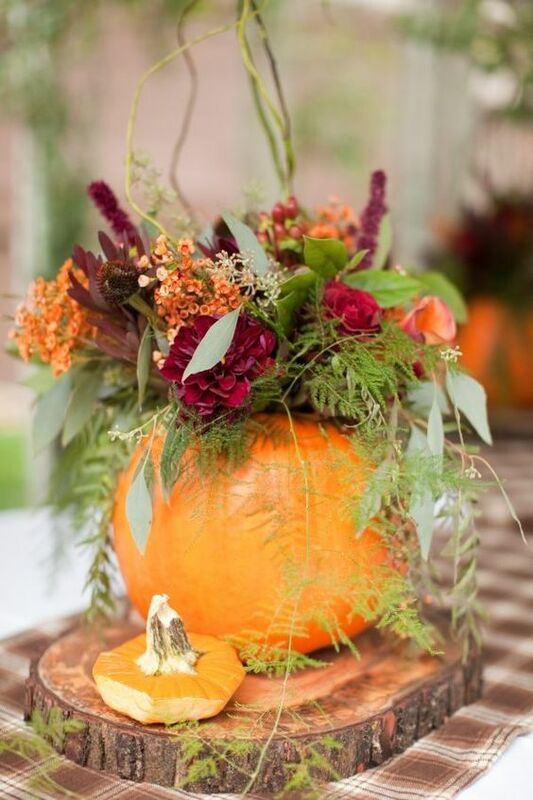 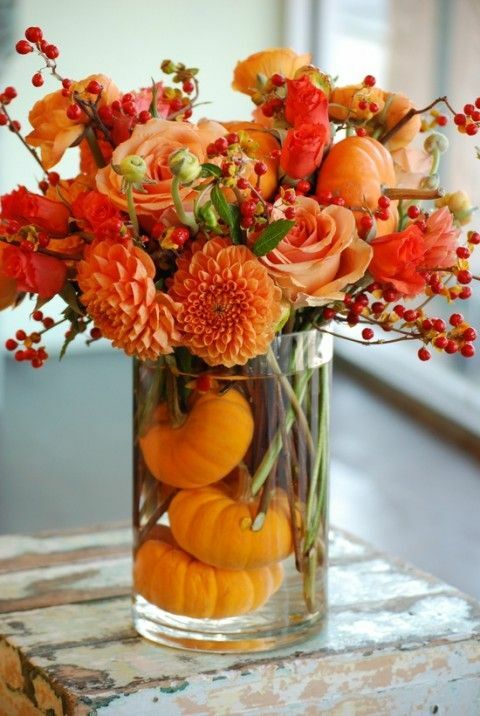 Some other orange wedding decor ideas may include pumpkins – what can be more natural for a fall wedding? 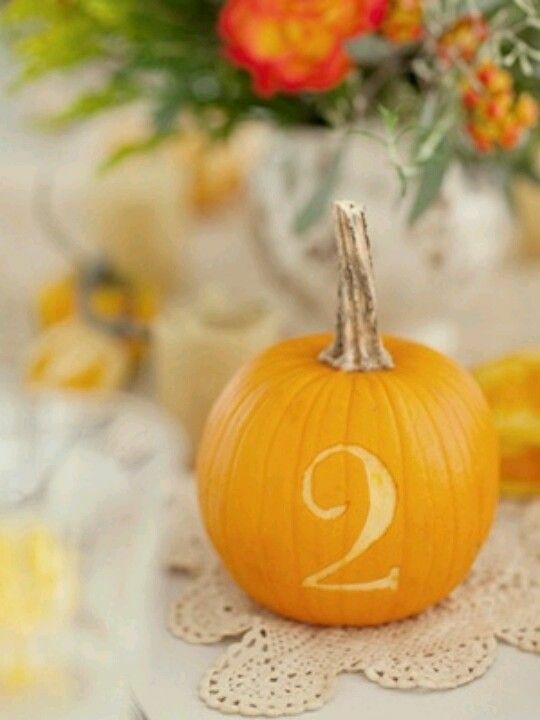 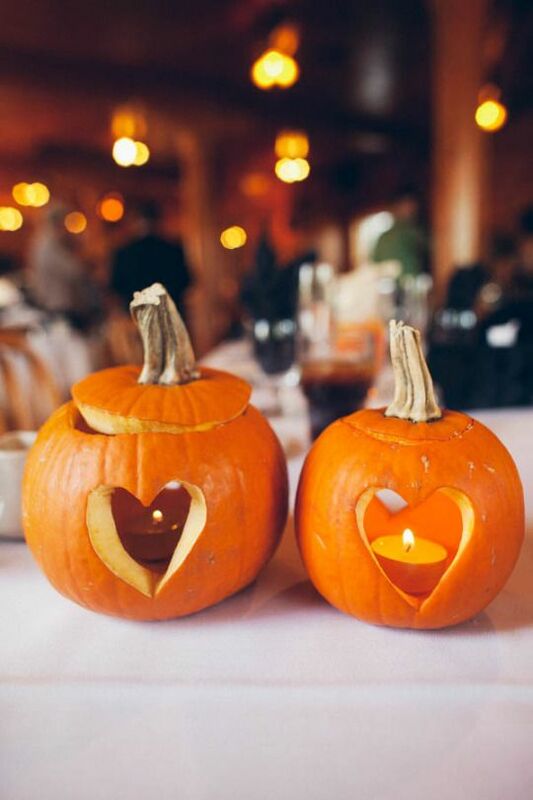 Carve table numbers on them, or turn them into flower vases or candle lanterns, or use pumpkins as you like. 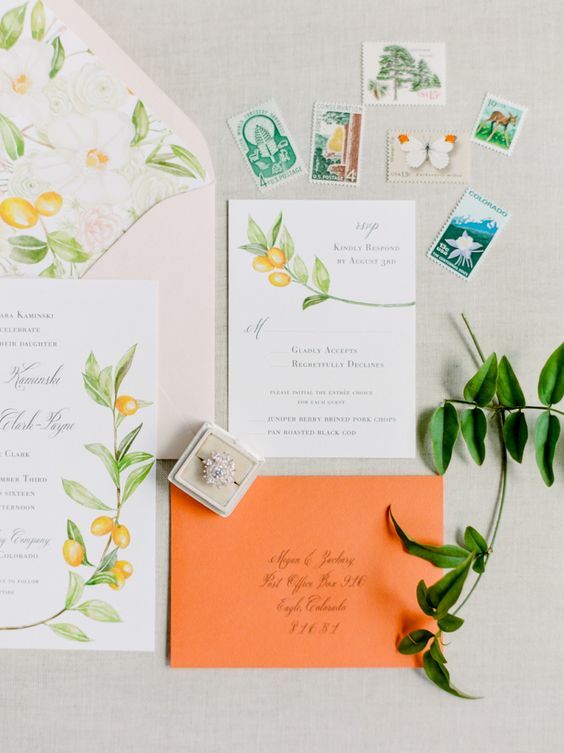 Try to add orange to your wedding stationary but don’t be excessive, make orange envelopes or just orange envelope lining. 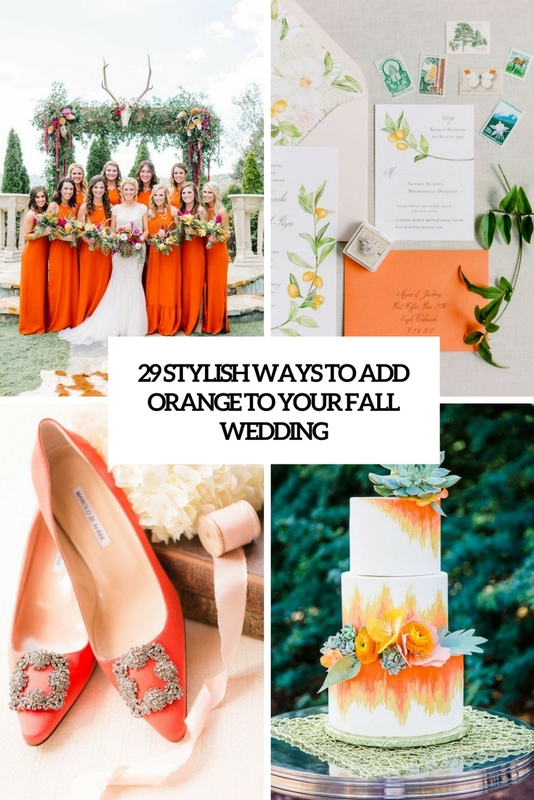 Add orange to your wedding with orange food and drinks, make a bold watercolor orange wedding cake, or just a white one topped with orange blooms or maybe kumquats and tangerines, and some fall leaves may be a fit. 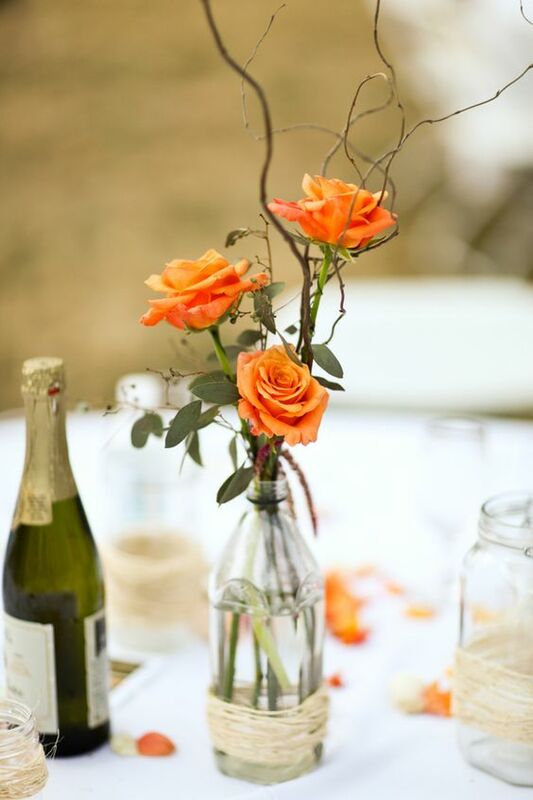 Make a signature wedding drink or orange and tangerines, it will be refreshing and delicious, and there are different desserts to make using oranges and tagerines, choose what you love!